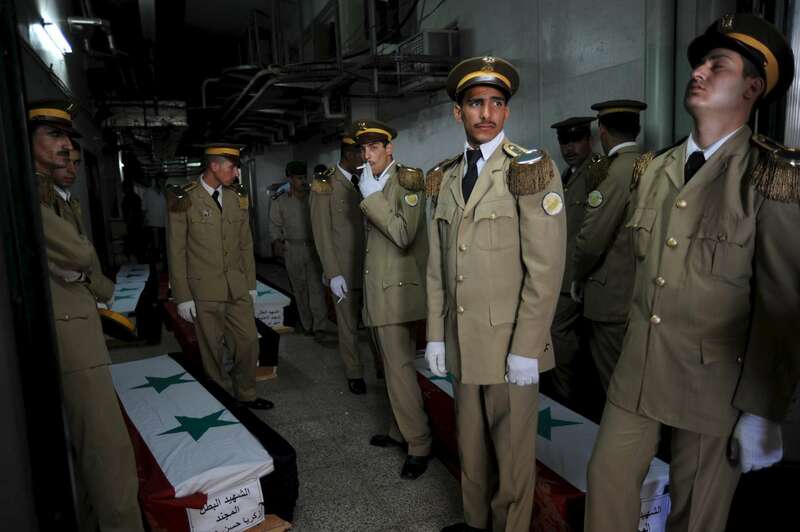 The Syrian army held funeral services for 42 soldiers at the Tishreen Military hospital on Saturday June 23, 2012. Another eight remained in the morgue. In recent weeks 100 Syrian soldiers on average are being killed in the the conflict.